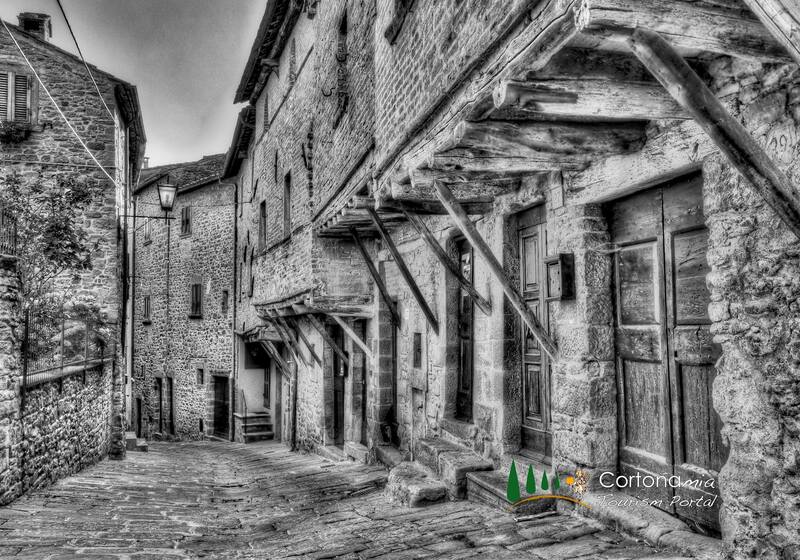 One day in Cortona | A tour of the historical centre of Cortona town. 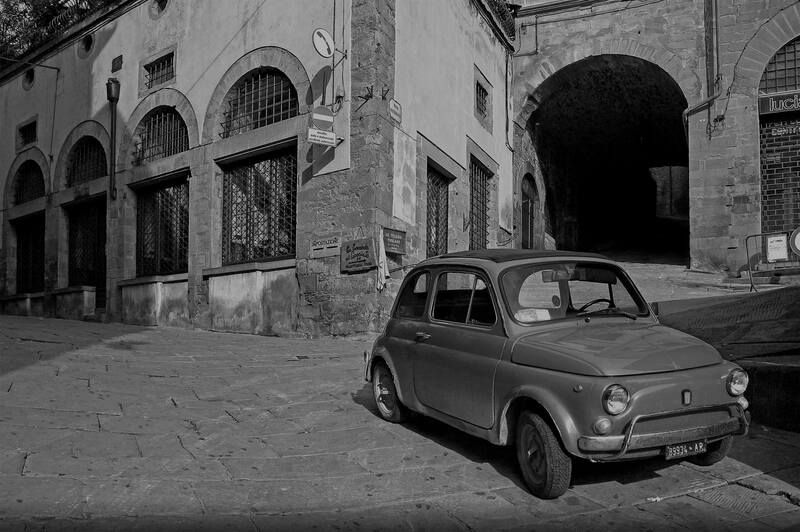 A tour in the historical centre of Cortona. Written by our official local guide Valeria Lorenzini. The itinerary will take you through the many palaces, churches and monuments that are to be found in this ancient walled town. We start from Porta Bifora, one of the main gates of the town. From here we will continue along Via Guelfa after which we will reach the heart of the town, Piazza della Repubblica. Here the original Roman roads of Cardo (going from north to south) and Decumano, (going from east to west) met and formed the forum of the ancient town. 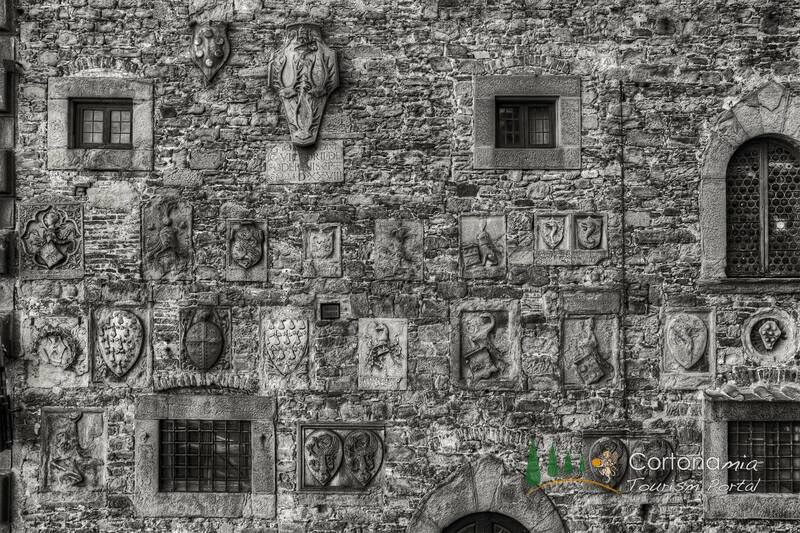 In the main square there are many important historical buildings such as: Palazzo del Comune dating back to the XIIth. century; Palazzo Passerini and the Loggia della Pescheria. From the Loggia della Pescheria there are delightful views back onto the squares itself. 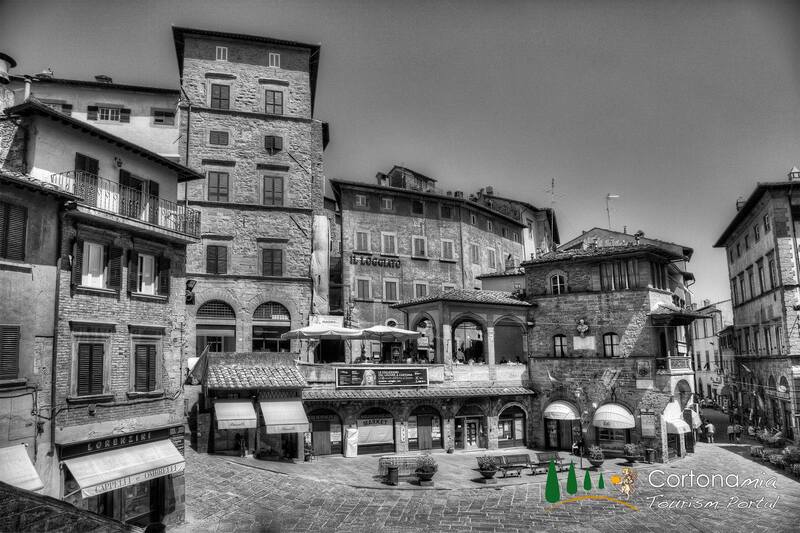 Continuing from this main square we arrive in Piazza Signorelli where we will come face to face with the austere and prestigious Palazzo Casali where today the MAEC Museum is settled. This palace dates back to the XIIIth. century and was the home of the then powerful Casali family. This family were the rulers of Cortona from 1325 to 1409. A little further up the square we find Teatro Signorelli. Visits to this theatre can be arranged with prior notice. Going down Via Casali, we reach Piazza del Duomo. Here we will see the town’s cathedral dating from the XVIth. century. It is dedicated to San Maria Assunta. Originally this was the site of the parish church of San Maria dating back to the XIth century. Before that it was the site of ancient pagan temple. Inside the cathedral there are many important works of arts for example; the Adoration of the Magi by Pietro Berrettini. Just opposite the cathedral we find another important building which was originally the church of Gesù with its impressive oratory. Today the church is the home of the Museo Diocesan which was established in 1945. In addition to the famous Annunciation by Beato Angelico, there are others famous works by Luca Signorelli. For example, the Compianto del Cristo Morto painted in 1502 which was originally meant for the main altar of the church of Santa Margherita. You will also get to see the Assunta by Bartolomeo della Gatta dating back to the XVth. century. From this little square you can admire the panoramic views taking in the mountain of Saint Egidio and the extensive valley below. 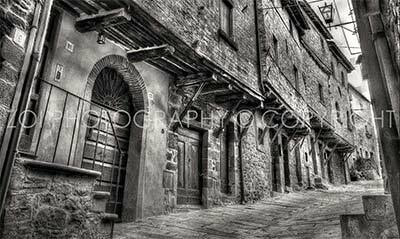 After visiting this area we will take the small side street of Via Jannelli which we will lead us down to some of the oldest medieval houses in Cortona. From here we will return to Piazza delle Repubblica. The route we will take (Via Roma) gives us the additional opportunity to see Piazza del Comune and its tower from the rear. Going up through Via Benedetti and Via Maffei we will reach Chiesa di San Francesco. This church was built over what was originally the site of an ancient Roman spa. The name of the Roman spa was Bagni della Regina. The construction of the actual church commenced in 1245. 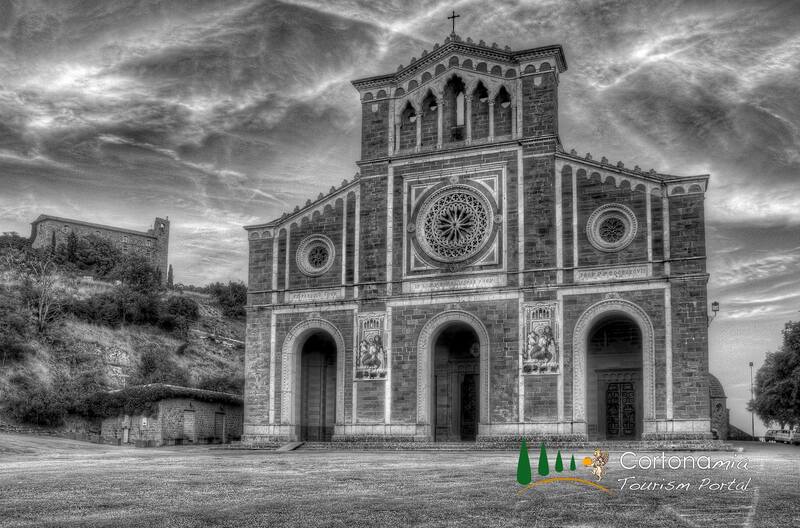 Its architect was Frate Elia Coppi who was also a close friend of Saint Francesco. Following the death of the saint he went on to become head friar. The original style of the church was Gothic. Unfortunately, the additional side altars that were added during a later period covered up many of the frescoes. However, today after some simple restorations we can see some of the original frescoes. 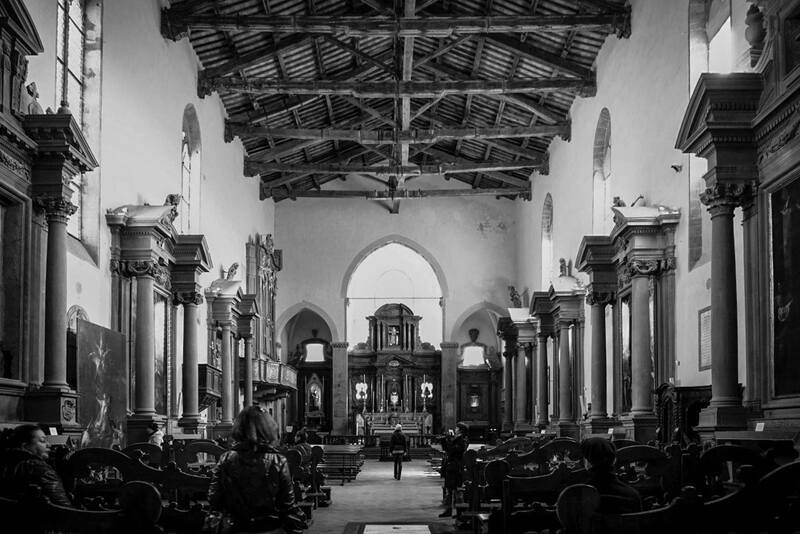 This church in Cortona is important because it was the second ever church to be dedicated to the Saint Francesco and is in the original and simple style that is associated with all Franciscans churches. 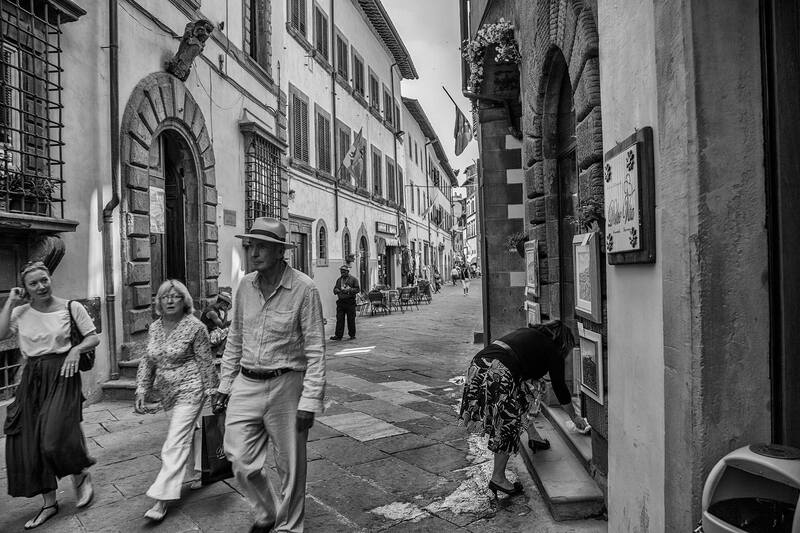 Tour of the historical centre of Cortona town by Ms Valeria Lorenzini, official local tour guide. When returning to Piazza della Repubblica, we go down Via Santucci and pass along the corso della città. This is Via Nazionale but known locally as Cortonesi Rugapiana. We will slowly walk by ancient palaces dating from Renaissance and seventeenth-century periods. We will also walk by the many local shops and typical restaurants of the area. Then finally we will reach the third and last square, Piazza Garibaldi. Here you will be enchanted by the beautiful panorama of the Valdichiana and the adjacent church of San Domenico. Adjacent to the church of San Domenico, you find the public gardens, the Parterre, where you will get a magical glimpse of various ancient convents and monasteries with their ancient bell towers. Also from this side you can admire part of the splendid mosaic of Gino Severini showing the image of San Marco, one of the patron saints of Cortona. The afternoon can then be dedicated to a visit towards the top of town where you will get to see the Basilica of Santa Margherita. Santa Margherita is the principle patron saint of the town. After her death on the February 22nd, 1297, a large church was erected in her honour. It was designed by Giovanni Pisano and was adorned with frescoes by Pietro Lorenzetti. It was positioned next to the ancient and earlier church of San Basilio where she died. However, during the XIX Century this second church by Pisano was demolished to make way for the church that we now see today. 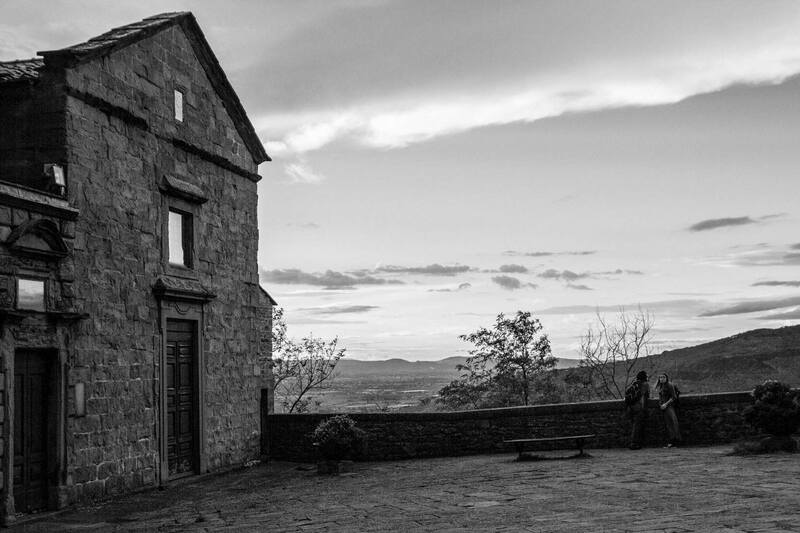 Overlooking the hill of Cortona, the spectacular fortress of Girifalco can also be visited. Inside its walls you will find a café where you can stop for a snack and taste local products. 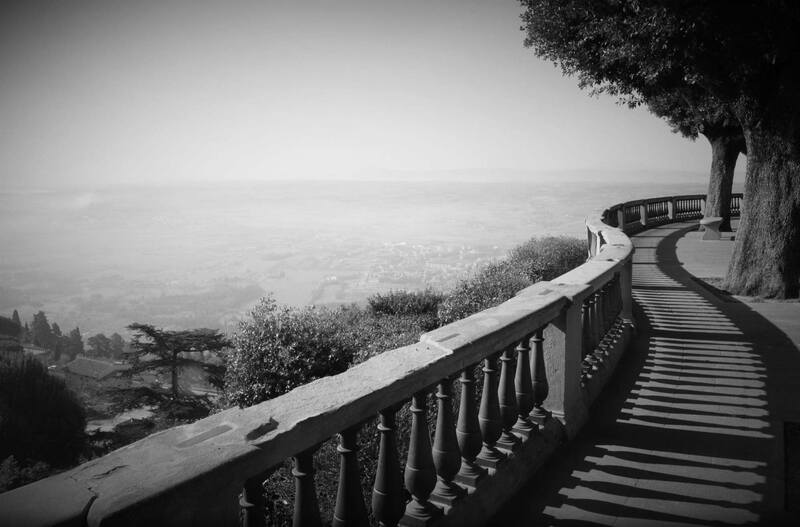 Cortona also offers other hidden places to visit that will leave you breathless. 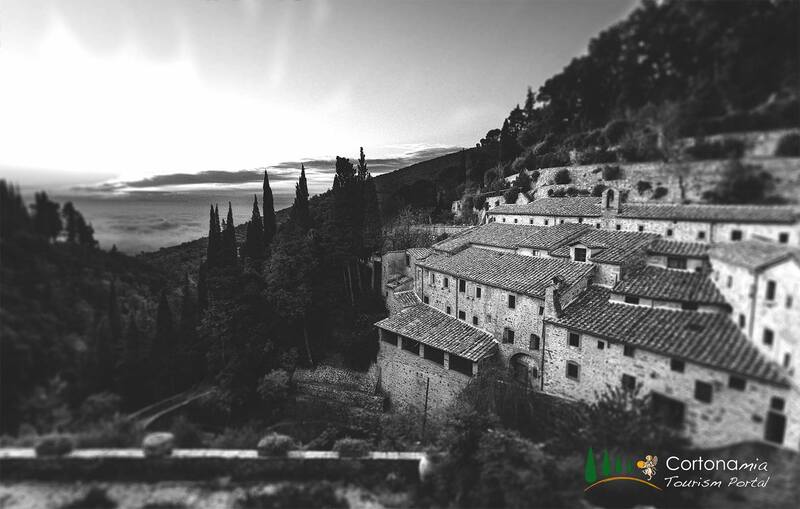 One such place rich in spirituality and with a beautiful landscapes is the Eremo delle Celle. 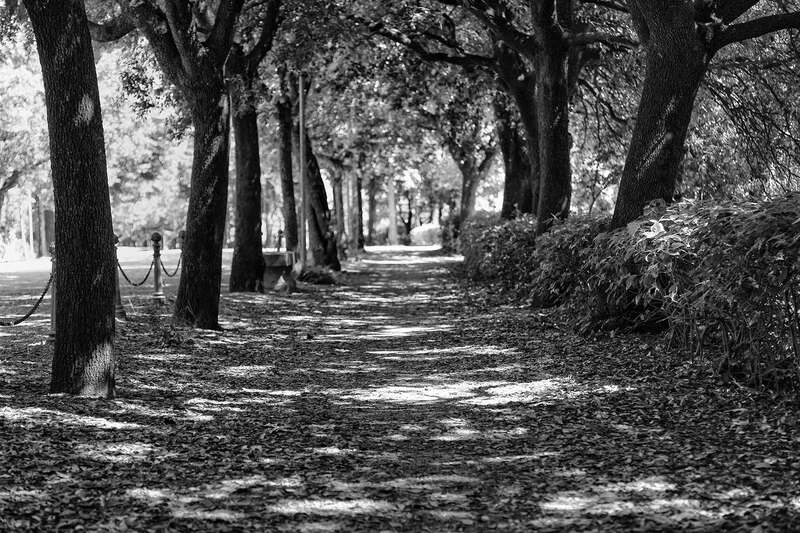 Located at the foot of Mount Sant’Egidio, it is a place where nature and silence reign supreme. 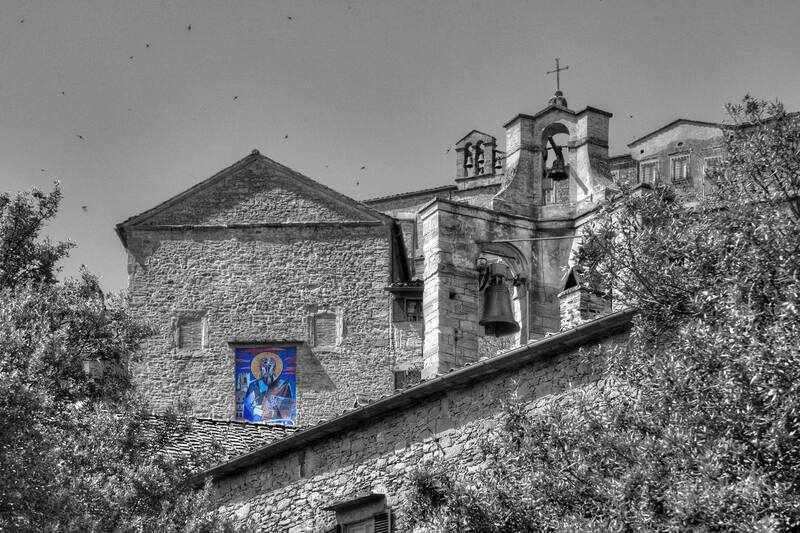 This monastery was founded in 1211 by St. Francis, together with his first followers from Cortona, the blessed Guido Vagnotelli and Frate Elia.